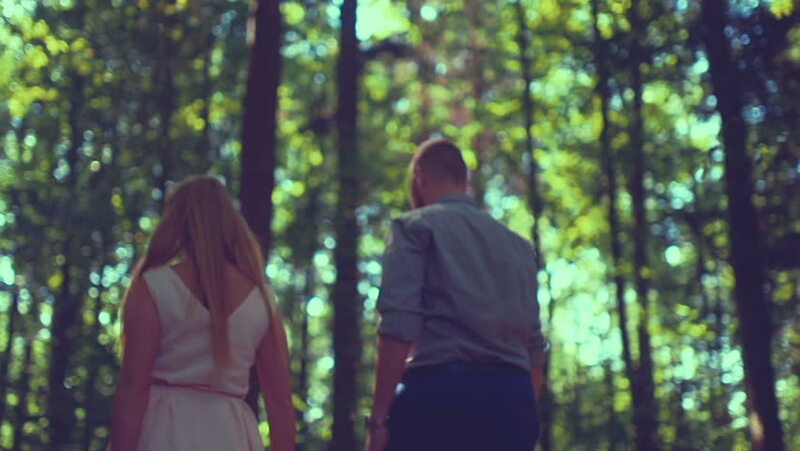 Rear view of couple walking in forest. Man and woman are conversing in woodland. Affectionate partners are spending leisure time on sunny day. hd00:15People are resting in a coffee shop. Surrounded by green trees.